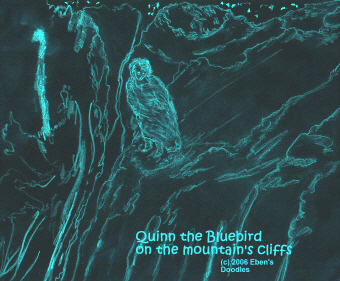 After Quinn the Bluebird (continuing lame in one foot) recovers from being thrown into the Kolumbia gorge by fanatic Sealtown clerics, he decides his spirit-journey would not be complete unless he climbs the holy Shouting Mountain. Everything else in the Kolumbian Empire has failed to help him in his long, difficult quest, so this is the last hope he has that the world's broken hoop will be mended. Will the sick, perishing world ever find the healing it must have to survive, or will he die still looking here and there and everywhere? She tells him, via his own language, that she has heard of his healings, as well as the cruel thing the Kolumbians did to him, and she wants to help him, since he has already healed some of her people living outside the mountain. 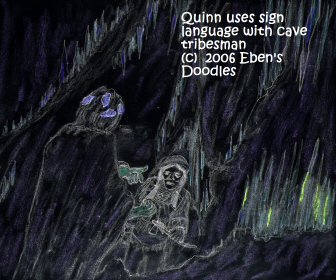 But why has he come to the lodges of the tribes of mountain people? she asks. 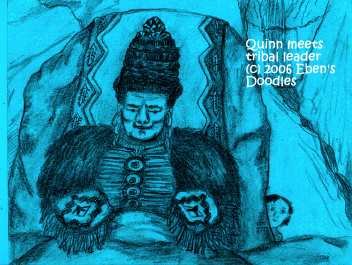 This is the only safe place for tribal people, she adds. 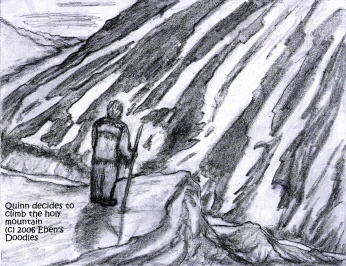 Is he intending to take his Shos-Shone people away from the Mountain? No, he says. He is not going to lead anyone into danger. He tells her he is searching for the Creator, the One he believes is seated on the top of the Shouting Mountain. 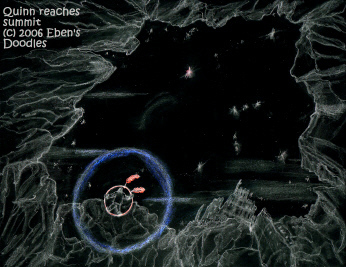 The whole world is sick and dying, poisoned by the flying serpents that once flew all over the earth, striking all the big villages that once held many people, he explains further, as she nods in agreement, lifting her stumps. He has been gifted with powers to heal (and no man has greater powers than his), but they are not enough to heal the whole world. He could use them to destroy the whole world if he wanted, but he could not use them to make a whole new man without death and dying in his limbs. That is the medicine of the Creator alone. So he has come all this way from his own village far to the south, just to learn from the One he has heard lives on the highest rocks of the earth--those that crown Shouting Mountain, the holy place of the Ancients. 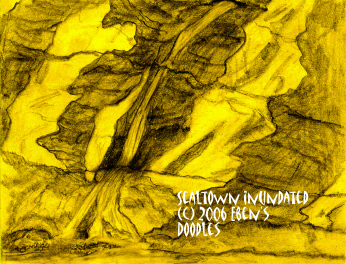 The wise woman replies that she has never been to the crown of the mountain. No one of the Mountain's confederated tribes has yet dared to try it. 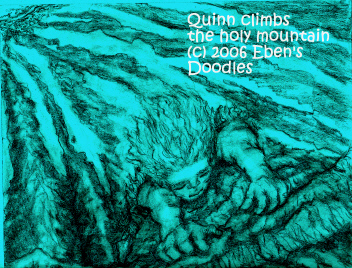 It cannot be done by climbing the mountain's skin, she added. There is nothing for a man to breathe--the birds themselves die and fall to the ground if they venture into those terrible heights. But there is a way--the mountain itself has provided it, leading up through the heart of the mountain--the paths of God's breath, they call them, blasted long, long ago by His mighty nostrils. They are full of good air to breathe. Yet no one has gone up them, even though they are the ways to the summit. Will you still be going since you must go alone? she asks. 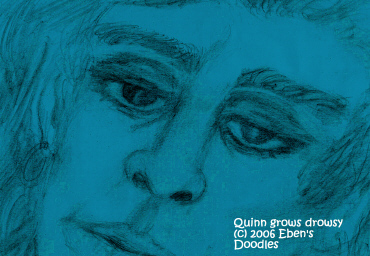 Quinn nods. 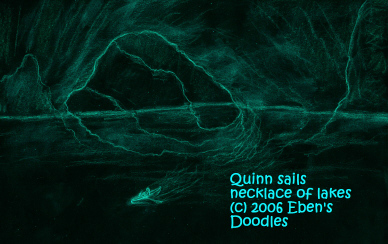 She turns away to disguise her sadness for his soon death, and a man-servant close to her beckons for him to follow, and leads him to the path of God's breath that they hope will lead him to the top and not off into some tangle of tunnels leading to places he will never find his way out of. Once on the summit, like Moshe on Holy Horeb, he is in the presence of Yeshua and cannot be touched or overcome by anything. No air to breathe? Bitter cold? Nothing can harm him. 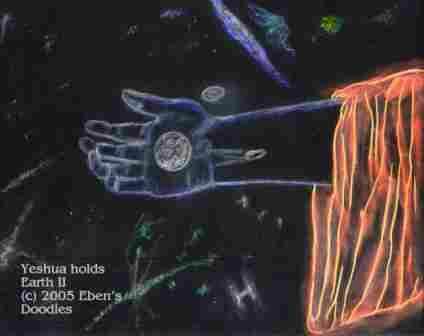 He is in Yeshua's hand. 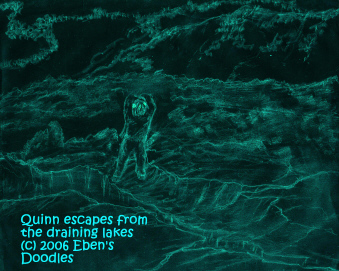 Quinn kneels down before Yeshua. "You are Lord," Quinn whispered. "I lay everything I am, everything I have, at your feet. Do what you want with me!" 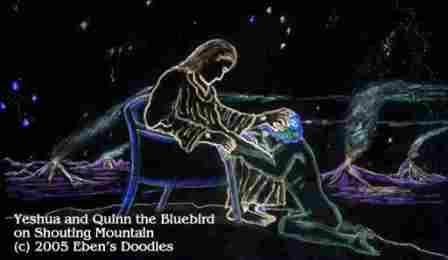 Yeshua's love, in response to Quinn's surrender, floods the Bluebird from head to foot. "You are my great champion R," he said to Quinn. "You have done honor to My Name already, and I have put My healing power in your hands. Use this power in my Name when you go back to the world below!" 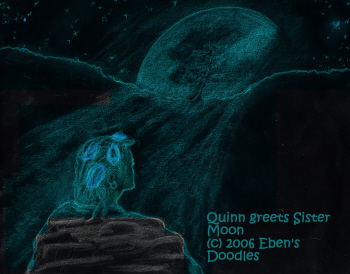 Then Yeshua handed Quinn a ring with a stone that glowed pure and brilliantly white, but as Quinn took it from Yeshua's fingers, a pattern appeared, and it glowed blue around the edges. Never had such a stone existed before, and no one else would receive one like it. 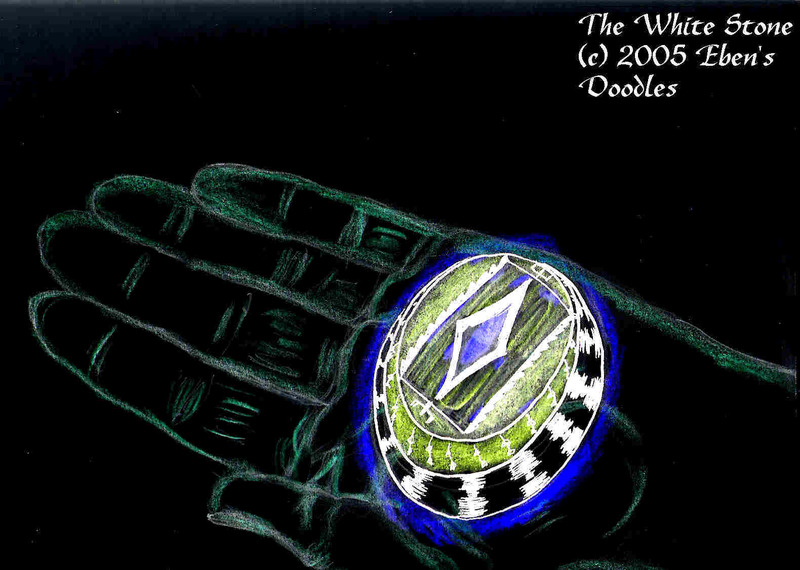 It was the White Stone, given to every one of Yeshua's true followers! 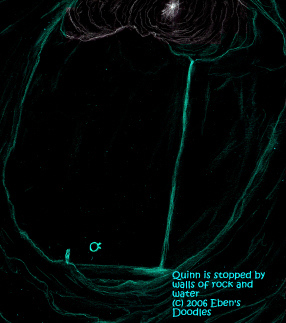 Quinn received this knowledge of it when he slipped it on. His own White Stone, which had a new, secret name from Yeshua inscribed on it that only his eyes could see! Quinn could not contain the joy he felt. He wanted to share his joy immediately with the entire world. How the world needed joy, hope, and healing! Those three things Quinn knew Yeshua had given to him, not to keep for himself, but to give to everyone. But first he is given a tour of Yeshua's creation. 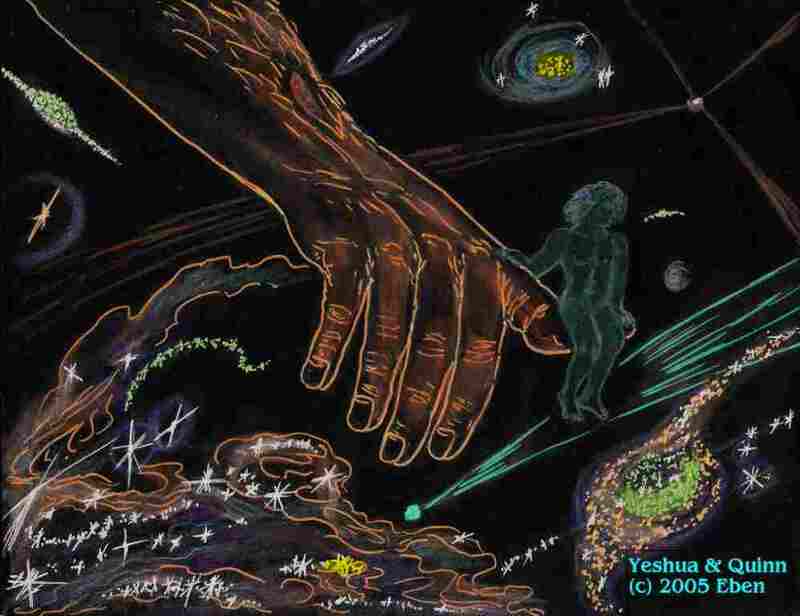 He climbs into Yeshua's hand, which becomes his starship. These wonders and countless others--it was all indescribable. 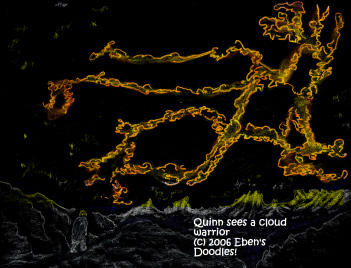 And Quinn realized that they were yet few compared to all those that Yeshua had created, and it would take an eternity to see them all, if ever. 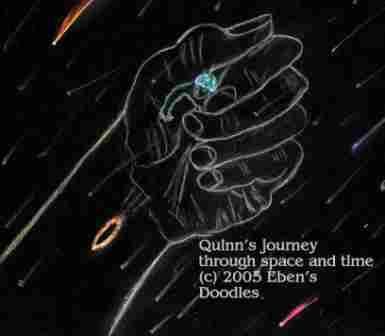 All these wonders were made by Yeshua, and were founded in Wisdom, Quinn realized. But how can there be so much suffering and death--and a flood that sweeps sway all life before it--if Yeshua has founded the world on wisdom? Seeing this, Quinn the "R" of the Rosebud Champions still did not understand. Yet he knew one thing. 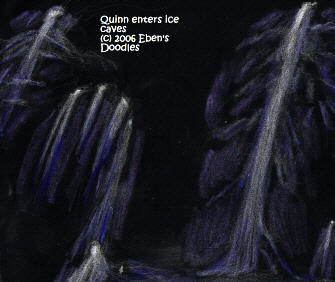 "Where can I go," Quinn thought, "and He is not walking there with me?" 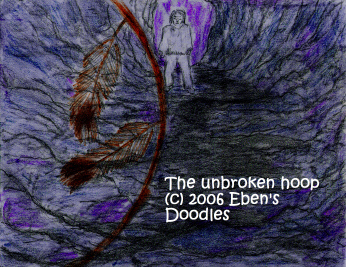 Even the Sacred Hoop that led him and carried him over impossible barriers--that was Yeshua too! Yeshua had come for the healing of the world, and He alone would mend the World's Hoop. At last, his long spirit-journey was over, and the key to the solution of the great sand painting game was in his hand. He saw that that Yeshua contained everything he and the world would ever need. Yeshua would heal the world. But how would he? Yet he knew the One who could hold the world in his hand could also find the right medicine. As for himself, he would do all he could to help the many hurt by Shouting Mountain's floodwaters, and after that he would go home to his people and his village, find his flute, and play a song to his father's spirit. He could go home to his people. Here I am, my father! Your son has returned home and will light your medicine pipe. so you will not lie cold and alone somewhere in the dark. and lie still, lie still, and be warm, and I will take your hands in my hands. 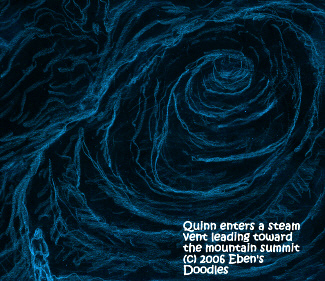 When Quinn stepped forth from a fumerol--the same vent that has wreaked destruction on Sealtown--he faced a crowd of confederated tribes--and the woman with no hands!" "Yeshua the Creator's Son warned us all, and we got away from the waters in time," they explained to him. 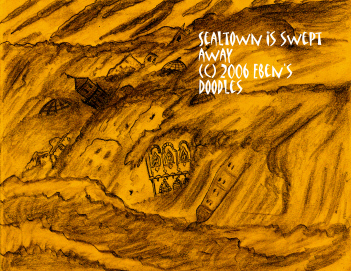 "But Sealtown would not listen to us and is gone--and there are many hurt people, waiting for you to come. They have no hope--and we do not have the medicine they need." 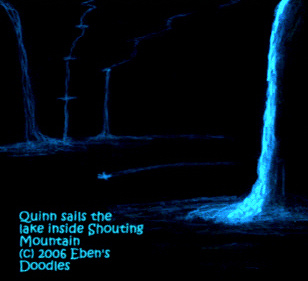 Immediately, Quinn felt this was his first moment of real life--he had-- in a twinkling of an eye--been born again as a new man! He was running! 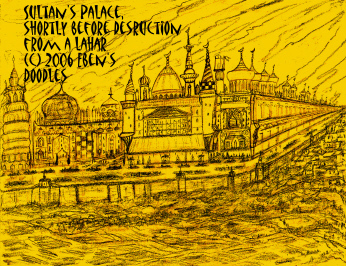 His lameness was healed, even as he ran toward the ruins of the city and the people who needed him. And the medicine Yeshua needed to heal the world? 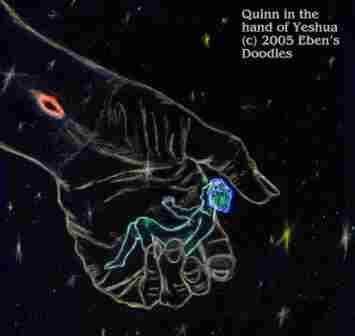 Quinn, as he reached out to the wounded, the suffering, even the dying--found Yeshua's medicine had been put in his hands--and this was so, because now all were healed. 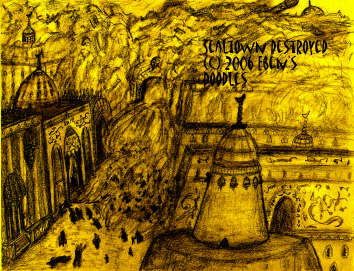 As he reached out amidst the tumbled ruins of the formerly splendid city, touching and healing every one who pressed toward him, he recognized the grand official holding his young son, and the fish-monger, and even his sad-hearted wife--they had been spared! And he recognized even many of his captors and and persecutors--and forgave and healed them all too, in Yeshua's name, as they wept and cried to him. 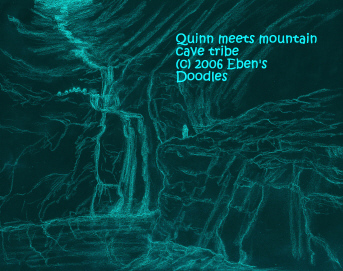 Many other things Quinn the Bluebird, Pilgrim, and Starboy did that day in Sealtown, but if they were all written, I suppose the world would not contain all the scrolls telling of his healings. If you have entered this page from other sites such as Butterfly Productions Home Page, there is a new domain of ten sites, www. 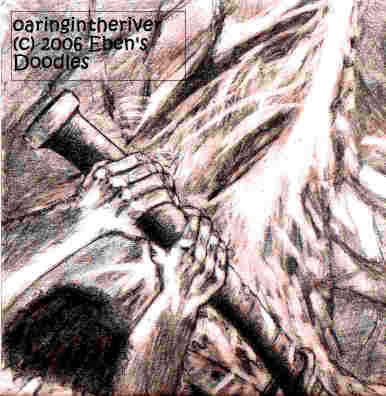 oaringintheriver.com, containing Retrostar, featured by major search engines.